Does this domain registration drop a hint about A Quiet Place 2? Paramount makes an odd domain registration for A Quiet Place. Is the sequel to A Quiet Place really a prequel? One of last year’s biggest movie hits was A Quiet Place, which follows a family surviving after aliens invade earth. A sequel is definitely on tap, but it might not be a sequel in a traditional sense. 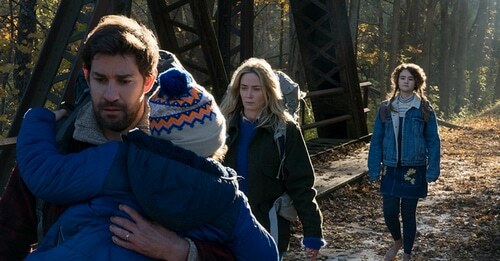 One idea based on director John Krasinski’s recent comments on a podcast is that it will follow other people surviving post-invasion. But Paramount Pictures made an odd domain name registration today that got me thinking. The company registered 2aQuietPlaceMovie.com. This is kind of weird. Wouldn’t it be AQuietPlaceMovie2.com? That domain isn’t registered. Why put the 2 in front? One idea is that the 2 is a play on ‘to’, and the sequel will actually be a prequel. The first movie picks up well after the invasion, and there’s a big storyline before the first movie even begins. While I like this idea, I should note that ToAQuietPlaceMovie.com isn’t registered, and I’d think the studio would want this domain if ‘2’ really is a play on ‘to’. Of course, since this domain registration is so fresh, they could just be getting around to it now.